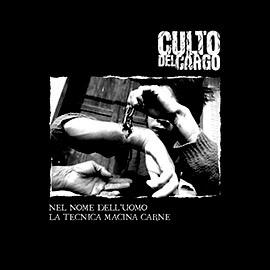 CULTO DEL CARGO is a D-Beat / Hc band from northeast of Italy. Featuring members of Gelo, Caprosmorto, Timothy, Terrorarium and Corporation of Consumption they are considered one of the best bands around. 6 furious songs in this black vinyl 7" ltd 500 copies made by Culto Del Cargo. Buy Or Die! !